Twenty-Two | Allison Trowbridge | Audiobook Download - Christian audiobooks. Try us free. The 21st century is a wonderful and complicated time to be a young woman. From access to higher education and advances in gender equality to the innovations of social networks and limitless travel destinations, no 22-year-old woman has ever had more options before her than the college graduate of today. And yet, even with the world at her feet, she often has more questions than answers, more pressures than prospects, and more disenchantment than direction. 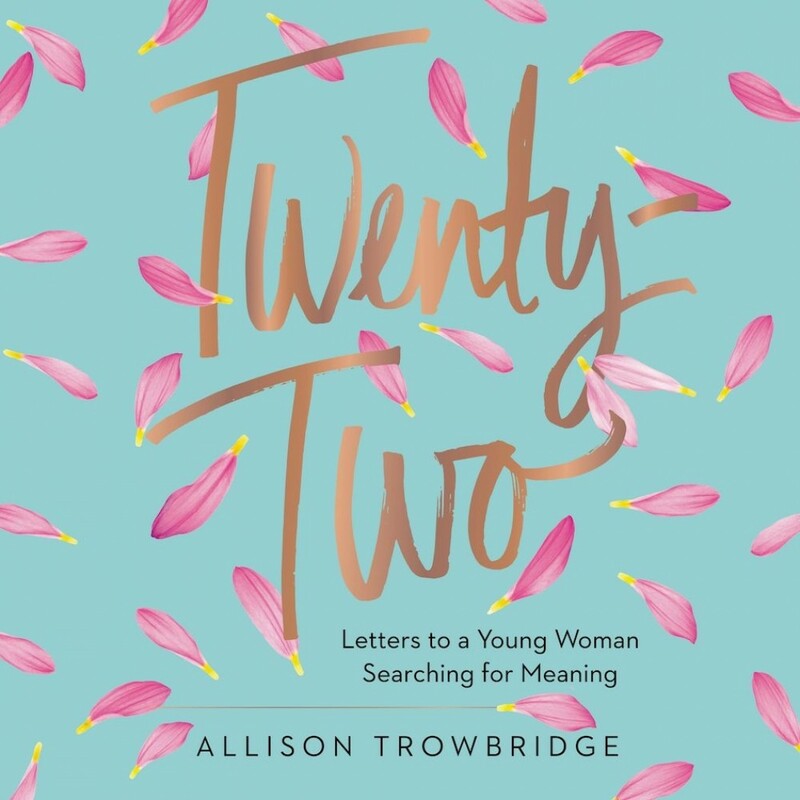 Stepping into this glaring disconnect, Allison Trowbridge offers Twenty-Two, a series of personal letters that marries true-life experiences and advice with the fictional life of the recipient, Ashley, a young woman looking for mentorship from someone one step ahead in life. The letters are sent every other month over the 44 months of Ash's college experience and address a wide range of relevant topics while tying in to universal themes such as the value of the journey, identity, social impact as a lifestyle, wisdom in the ordinary moments, and the profound impact of God's work realized through the way we live every day. Trowbridge subtly weaves in today's most pressing social issues - from poverty in our neighborhoods to human trafficking across the globe - inspiring a greater sense of mission in both Ash and the listener. Twenty-Two is a book that speaks to millennial women, a generation hungry for bigger life stories yet uncertain about how to get there. But it is not a how-to book for girls coming of age, because a field guide could never capture the complexities of this season. Rather, Twenty-Two is a deeply personal narrative about friendship, heartbreak, and hope that will inspire young women from a wide variety of backgrounds to live fully into their own remarkable journeys today.